Walking through the front door of 127 Pinnacle Pointe Drive, you’ll probably want to head straight to the living room window and stare at beautiful Lake Keowee. We don’t blame you — this quiet cove is a great place to hang out, but there’s still a lot of house to see! 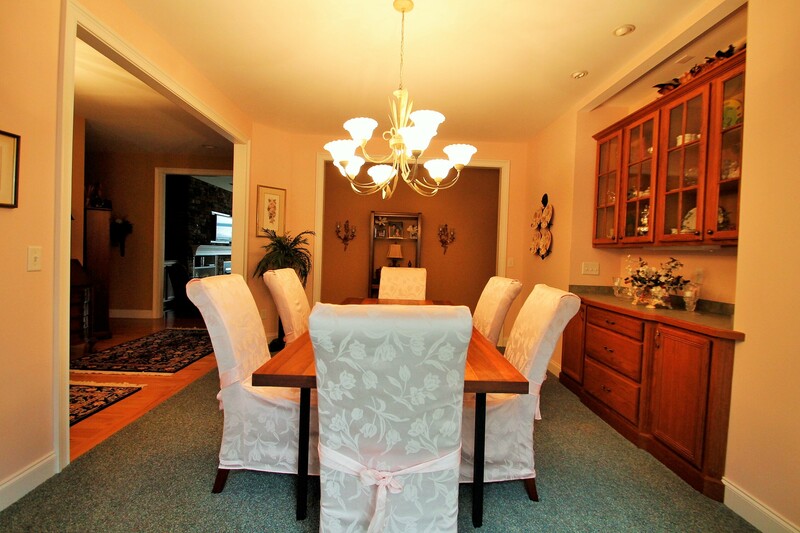 There’s a formal dining room and a sitting room with beautiful French doors that would make a great office or study. 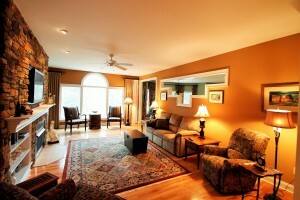 If anything competes with the lake view in the living room, it’s the beautiful built in bookcases and stone fireplace. It’s the perfect spot to curl up on a rainy day and read, watch a movie with the family or start in an intense game of Monopoly. If there’s a chill in the air, the press of a button turns on the electric fireplace to keep things toasty. 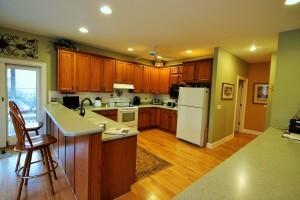 The large eat-in kitchen also features a view of the lake, so less formal meals still have a little pizzazz. There’s plenty of storage space in this kitchen and counterspace for everyone to help prepare large meals or set up your famous Superbowl buffet spread. There’s a screened-in porch that leads to a deck, offering great outdoor space to enjoy morning coffee or a glass of wine bug-free after dinner. 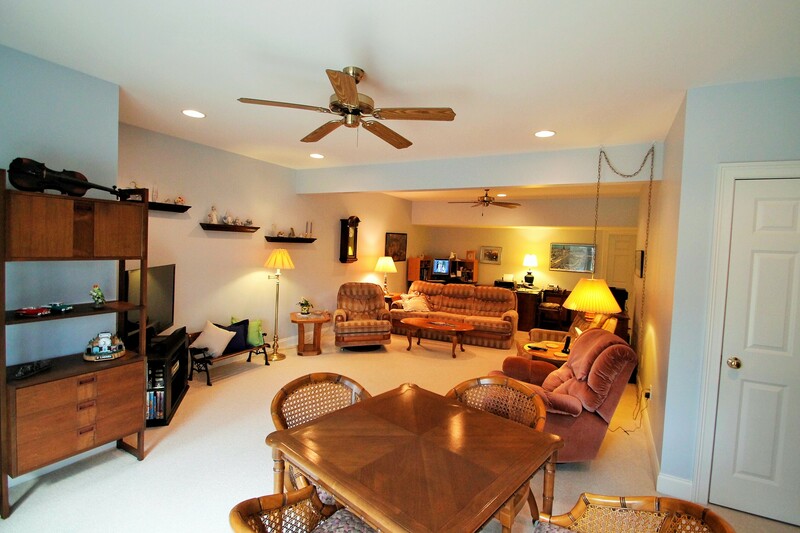 The main floor also features a mud room off the garage, a very spacious laundry room, a private full bath and the Owners’ Suite. 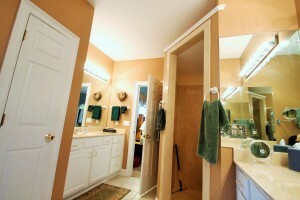 With his and hers closets and separate vanities in the bathroom, there’s plenty of space to keep things organized. The walk-in shower makes getting ready a breeze, but the other full bath on the main level has a jetted tub so you have the best of both worlds. The walkout basement features another living area, two bedrooms and two full bathrooms. This gives guests extra privacy while visiting and keeps kids’ messes out of the way from entertaining. There’s another finished room that would be a great play area, library, or media room, as well as some unfinished space for storage. The sliding glass doors in the living area let in lots of natural light and give direct access to the backyard, but there’s also a garage door to the unfinished area to make storing large items even easier. Outside you’ll find an outdoor living area by the water, a picnic table near the covered dock, which also has a jet-ski lift. 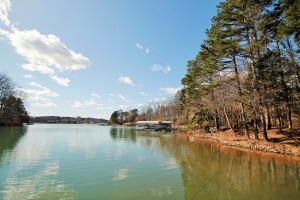 Pinnacle Pointe is a quiet subdivision in Seneca that offers lake living without getting too far away from the city limits, and we all know location is half the battle of finding the perfect house.